The agency has made two senior appointments with a new sales director and client services director. 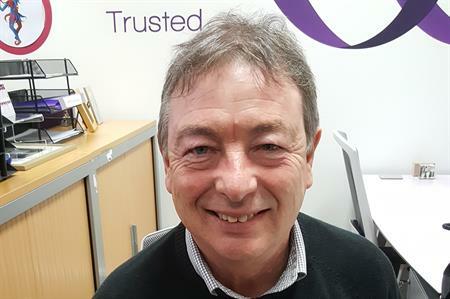 Wayne Sykes has joined Aspect as sales director, with over 25 years of industry experience. Throughout his career he has been instrumental in developing business opportunities and has worked across all sectors including defence, motor, construction and retail. Mark Southgate also joins Aspect as client services director. He has worked with a range of global brands across most industry sectors. CEO, Jo Randle, said: "We are absolutely delighted to have expanded our team with these highly experienced individuals and look forward to being introduced to a whole new array of different sectors. "We have also expanded our production department with Cuan Hawker as senior producer and Loren Wilson, project co-ordinator, and we will soon be welcoming another senior producer to our dynamic team. "We now have a refreshed and energised team in place to satisfy both existing and new clients alike. We look forward to delivering some exceptional and creative projects in our new financial year." For more features and breaking news sign up to C&IT Magazine's daily Newstracker here.